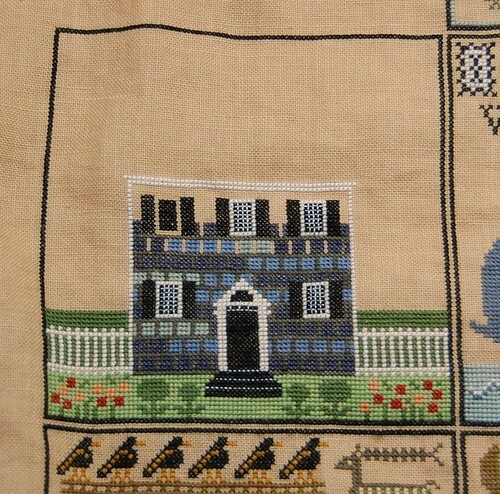 Nicole's Needlework: Shores Block Five and a Surprise! And the surprise came in the mail today. 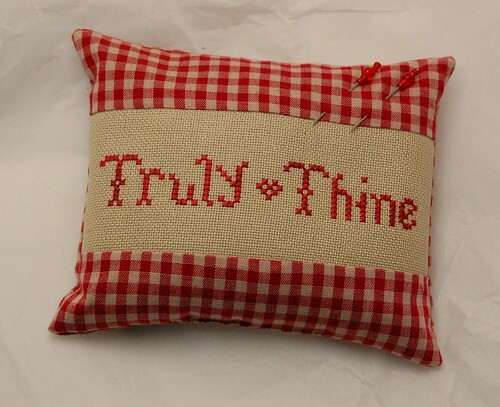 I received this very sweet pincushion from Karen. Thank you so much Karen!! I love it!! Very nice Valentine's Day surprise from Karen. Lucky you! Such a sweet gift and your Block 5 is looking great!! Great progress on your Block #5 and cute giftie from Karen! Block 5 is one of my favorites! Looking good! Love the gift from Karen too! Block 5 is looking good Nicole. What a sweet gift from your friend. 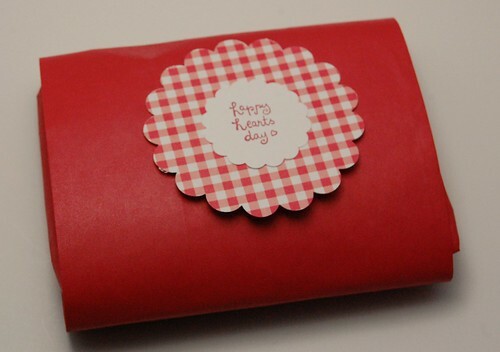 Karen packaged her surprise for you very beautifully! It's a cute gift. Block 5 looks like it's coming along well. The latest block loos great! Lovely gift from Karen! Sweet gift and I love, love, love your shores. I don't blame you for wanting to stitch a few smaller projects after PL and Shores :-). What a sweet gift!!! And Block 5 is looking fabulous. I don't blame you for needing a break from the bigger pieces though! Nicole, everything you stitch is so lovely! Congrats on your block 5 progress, and good luck with your end of the month finishing hopes. Love the block progress and your gift! Block 5 looks great and beautiful pincushion you received. Block 5 is looking great. I love the pillow from Karen, too. Moving right along with your Shores! I've decided to stitch ornaments throughout the year so there can be completions along the way. What a sweet Valentine surprise! You are coming right along on Shores...it must feel wonderful to be that close to the end. Your shores block is looking lovely and such a pretty gift from Karen. Great progress on Shores, it's looking lovely. Block 5 is looking great! YGG! I hear you on wanting to do smaller things for a bit. Knowing you, though, that resolve will last about a week! ;) I'm teasing you only because I am the same way myself! Lovely progress on your block, and what a cute cushion you received.